American GNC Corporation specializes in applying advanced and innovative technologies to contemporary problems of critical importance within the Guidance, Navigation, Control and Communications (GNCC), Health Monitoring, Condition Base Maintenance (CBM), transportation, aerospace and defense industries. We are committed to providing advanced, integrated state of the art GNCC solutions while meeting the technical, cost and scheduling needs of our customers. AGNC strives to build upon its reputation for important contributions to the fields of GNCC, while improving the company and satisfying its customers and employees. As of today, AGNC has received numerous contracts from both the Department of Defense sector and National Aeronautics and Space Administration (NASA) totaling over $35.5 Million. American GNC Corporation is a high-technology company that provides diversified engineering and technical services to both private and public sectors. Since its establishment in 1986, AGNC has been actively involved in autonomous vehicles; advanced GNCC systems design; automation and integration for aircraft, land vehicle, marine vehicle, missiles, satellites, spacecraft, large space structures; robotics, underwater vehicle applications; target acquisition, tracking and recognition for a variety of platforms. AGNC has successfully applied state-of-the-art technologies to solve unique and challenging design and analysis problems. Our team is committed to the success of each of its programs. 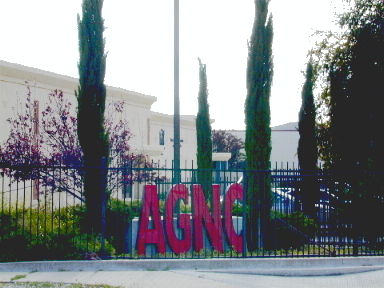 American GNC Corporation's headquarters are located in Simi Valley, northwest of metropolitan Los Angeles.